WujiTech Founder Francesco Garri Garripoli left Western medical school training to pursue studies in Eastern healing to search for a more holistic approach to healthcare that better managed lifestyle challenges such as stress. After writing books on the subject and lecturing around the world, it became clear that the missing “link” in whole-person health was the brain. Working with colleagues who are experts in the field of medicine, neuroscience, software design, mindfulness, and meditation, Francesco created WujiTech to design a solution. 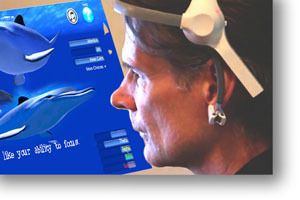 This led to a U.S. Patent for a most unique approach to not only empowering the individual with realtime brainwave monitoring, but offering a complete corporate enterprise, large scale, mobile solution. WujiTech is implemented in business, military, educational, and personal platforms around the world. WujiTech has assembled a seasoned leadership team with a unique blend of visionary leadership, health and wellness expertise and technology prowess. Paula LuPriore is the CEO of WujiTech and is responsible for all facets of the business as it positions for growth. 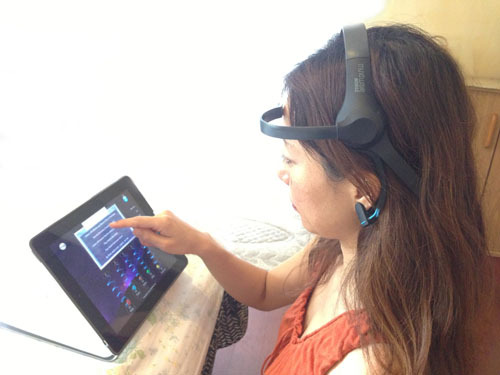 Prior to joining WujiTech, Paula was Interim CEO at Asyst Technologies, Inc., a publicly traded technology company. In this role, she led the company through a restructure and sale building enterprise value through customer focus and revenue acceleration. At Asyst, Paula also held GM and C-Level Executive positions, including Chief Operating Officer. Prior to Asyst, Paula held various Vice President positions at IBM, a global technology and services company. Paula served as a business and engineering leader building on her vast experiences in hardware and software development, product management and marketing, and services, for international business in Fortune 500 settings. She received a Bachelor of Science degree in Applied Mathematics. Francesco is the founder and visionary behind WujiTech. He is an author, health & wellness advocate, Emmy Award-winning media producer, and software designer. During the 1980s, Francesco was President of the mid-Atlantic ACM/SIGGRAPH and the founder of Circuit Studios, creating highend computer graphics and data visualization software for clients including AT&T Bell Labs, Dupont, PBS-TV, Hewlett-Packard, CAT Benelux, and NBC-TV. During the early '90s, Francesco developed cutting-edge animation software in his Hollywood and Florida studios, working with top advertising agencies and clients including Disney, Geffen Records, and Universal Studios. With an interest, expertise and passion for health and wellness education, Francesco began to develop software solutions for the medical industry during the late 1990s working with Mount Sinai Hospital in Toronto. The result was a unique online survey/query tool to help identify at-risk patients by gathering data and then analyzing it in a highly automated and visual way. This project grew to become a national, Canada-wide program for the Ministry of Health which Francesco eventually turned over as a non-profit, community service effort. Francesco has evolved this experience along with hardware processing speed and internet/server technologies to create WujiTech. Pulling together a team of software designers and application experts from around the world, WujiTech continues the “solutions” approach to clients needing to collect information, analyze it, report it, and use it to build everything from their bottom line to deeply networked online communities. Tony Santelli is an Investor in WujiTech, Inc. and sits on the Board of Directors. Tony is a retired Senior Executive with IBM for 35 years. He is currently the President of Niwot Holdings / Investment Company and the President of the Boulder Symphony. He is also Angel Investor in a number of start-up companies.